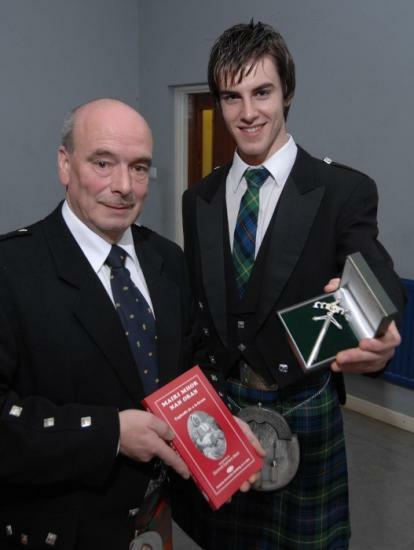 Sixteen year old Phillip Todd of Thurso High School was the recipient of the Council sponsored Mairi Mhor Felllowship silver kilt pin for his performance in the 'Singing in Traditional style for Gaelic Learners' competition at Mod Lochabair on Monday 15th October 2007. Councillor Fraser said: "The Highland Council is very keen to encourage Gaelic learners of all ages to sing traditional songs, much in the style that the great Gaelic Bardess M�iri Mh�r nan �ran would have herself sung. I would like to congratulate Phillip and wish him well for his singing future."